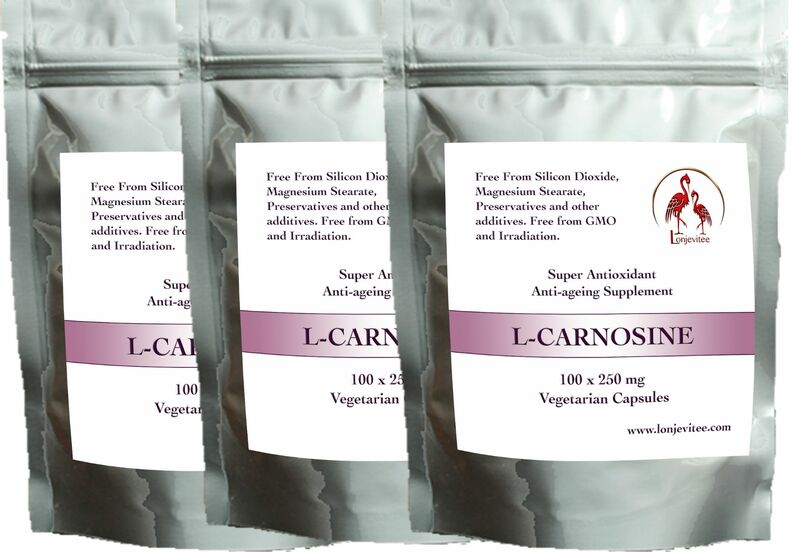 100% Pure L-Carnosine Super Antioxidant with no fillers or flow agents in a Vegetarian Capsule Shell. Vegetarian capsule shells: HPMC (Hydroxypropyl methylcellulose) plant cellulose. 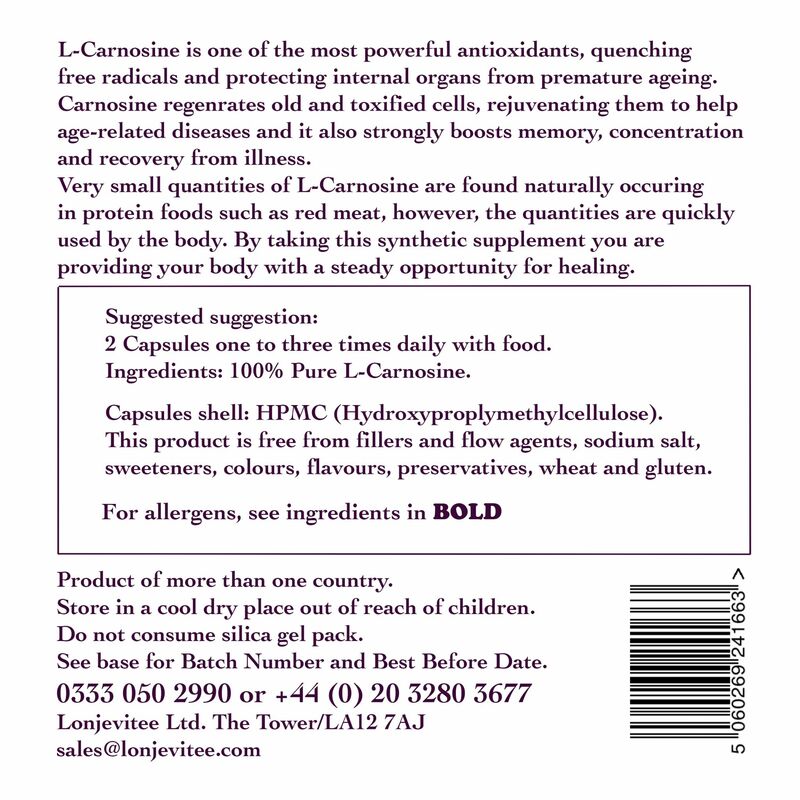 4 Capsules 5 to 10 times a day for health restoration. We offer generous discounts for anyone wanting to use a large amount daily. It is best to take this supplement throughout the day rather than all at once, in order to get the most benefit.